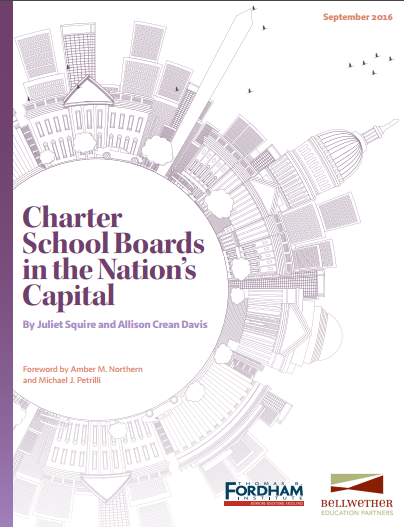 In a new report “Charter School Boards in the Nation’s Capital,” my co-author Allison Crean Davis and I provide a wealth of new information on charter boards in Washington, DC. But there’s one simple fact that merits further consideration: 62 different boards oversee the schools that enroll nearly half of the city’s children. Individually, each charter board makes consequential decisions for their school. But collectively, their decisions shape how the whole sector evolves. School-level governance means charter boards can act quickly, approve the roll out (or roll back) of programs in response to feedback, and even address individual student or parent concerns. Decisions at this scale can be faster, more responsive, and less bureaucratic than those at the district or state level. In short, it is far easier to change the course of a speedboat than the Queen Mary (or the Titanic, depending on your optimism regarding district reform efforts). Depending on a school’s particular challenges, one charter board may spend a great deal of time and energy debating whether and how to increase the salaries of their teachers. Another may focus on student recruitment and retention. A third may spend most of its time searching for their next school leader. The open responses to our survey showed board members wrestling with each of these issues and many more. In these myriad discussions and decisions, small organizations are responding and adapting to changing needs, problems, new information, and opportunities. We note in our report a number of data points that suggest boards of low-quality charter schools are changing their practices. As we might expect, the boards of the highest-quality schools are most likely to evaluate their school leaders, they meet most often, and they have the most accurate knowledge of their school’s student population. However, the board practices of low-quality schools fall between those of high- and middling-quality schools rather than below them. School-level governance means that the potential impact of a charter board’s actions are correspondingly smaller than the potential impact of an urban district’s comprehensive reform plan. However, school-level governance also enables each charter school to adapt more quickly, in a thousand small ways. Meanwhile, the education policy community watches to see whether these adaptations collectively fulfill the promise of a continuously improving charter sector. I’m optimistic. This entry was posted in Charter Schools, Education Governance, Education Policy, School Choice, School Governance and tagged charter schools, DC, Governance, Washington on October 13, 2016 by Juliet Squire. How Universal Pre-k Broke Subsidized Child Care in D.C. Child-care costs for infants and toddlers (ages 0-2) in DC are among the highest in the nation — over $23,000 for center-based care for infants. For families for whom that would be almost half their annual income, subsidized child care is increasingly hard to get, and pre-k might be partly to blame. I am a huge fan of D.C.’s investments in high-quality pre-k for three and four year olds, but market impacts of booming pre-k enrollment have made it tougher for child-care providers to accept infants and toddlers at subsidized rates, even in neighborhoods with few high-income families. Caring for infants and toddlers is more expensive than caring for three- and four-year-olds. More staff are needed, and more regulations have to be followed in order to meet licensing requirements and qualify as a subsidized child care provider. Child-care subsidies are higher for infants and toddlers, but they’re not nearly enough to cover the full cost of operating a high-quality program. So providers need additional sources of revenue to break even. Serving more three- and four-year-olds is one way to narrow the cost gap while continuing to serve infants and toddlers at subsidized rates. Even with mixed ages, it is still much easier to break even by serving families paying market rates. What the cost-modeling study doesn’t explicitly say is that school-based pre-k makes the mixed-ages strategy less viable. With 76% of three- and four-year-olds in school-based pre-k, the market for child care in those age groups is now very small. In neighborhoods with higher-income families, child-care providers can stop accepting subsidies, charge (insanely high) market rates, and still have long wait lists. At the same time, in neighborhoods where no one can pay $23,000 for child care, meeting high-quality standards for infants and toddlers with subsidies alone is nearly impossible. As a result, providers are more likely to cut quality in order to cut costs, shut down, or operate illegally. According to information currently available, 88 licensed child-care providers in the whole city accept subsidies and offer full-time infant and toddler care, and only about a third of those earned a “gold” quality rating. If a family needs things like flexible drop-off times or services for disabilities, the options are even scarcer. Pre-k access and child-care costs are both getting more attention on a local and national scale. But, few media stories point out how intertwined pre-k and child care are in the early care and education market, and how changes to one will impact the other. As more cities look to expand pre-k, access to child care for younger children shouldn’t accidentally take a hit when pre-k thrives, and infant and toddler subsidies should match the cost of high-quality care. *Disclosure: I am a former OSSE employee, but had no involvement in this study or child-care and pre-k policies while I was there. 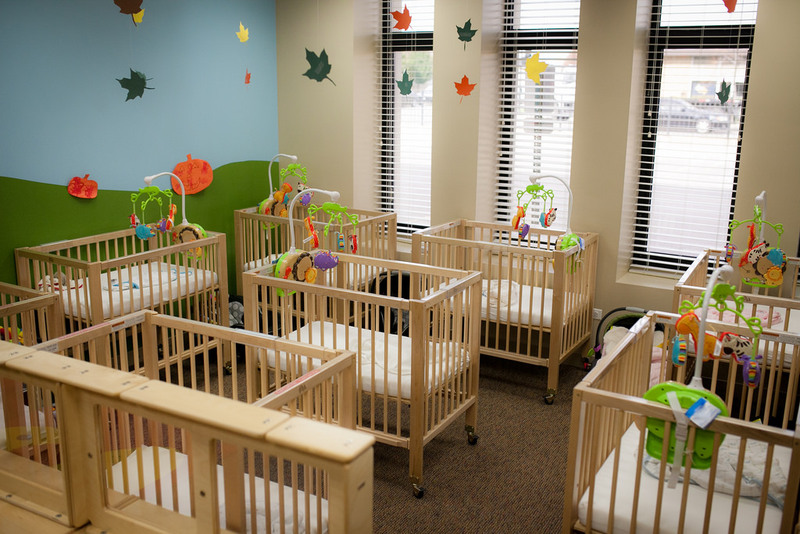 Correction: The cost of an infant in a child care center in D.C. is approximately $23,000. The $40,000 number originally stated is the estimated cost for an infant and a four year old combined. Source. This entry was posted in Early Childhood Education and tagged child care, DC, early childhood education, early education, ece, pre-k, pre-k funding on May 24, 2016 by Bonnie O'Keefe. I’m thankful Sara took the time to take issue with my response to PCSB’s position on chartering in the nation’s capital. But to be honest, I get nervous anytime Sara disagrees with me, because that generally means I’m wrong. And I have to admit Sara produced a compelling defense of one of the positions in my virtual debate with Pearson and McKoy. The only problem is that it’s a defense of my view, not the one expressed by her PCSB colleagues. In fact, I would associate myself with much of Sara’s articulation of the board’s goals. But that explanation belies what Pearson and McKoy actually wrote. This entry was posted in Accountability, Charter Schools, Education Governance, Education Policy, Politics of Education, School Choice, School Governance, State Education Policy and tagged Authorizers, Charter, DC, DCPCSB, NOLA on April 1, 2015 by Andy Smarick.